It has been a hot minute since I’ve written an update. 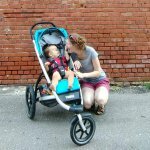 Remember when I closed down Dandelion Pie, and launched the Stroller Mom back in September? 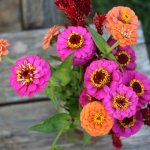 How I was full of promises of lots of posts, and launching an Etsy shop? How I was brimming with ideas and enthusiasm? And then remember how I dropped off the face of the internet for oh—six months? Now that I am starting to get my sea-legs…ahem…my blogging legs under me again, I wanted to share a good old-fashioned update detailing where I’ve been. Our most recent family photo. We went to the zoo this past week to celebrate Saia’s birthday, and it was oh so fun! 2018 was a tough year for our family, and I really struggled to blog about all the serious/not fun things that were happening. I, also, struggled to blog about anything pithy because it just felt so unimportant in the grand scheme of things. My hubby launched his own business, and we stepped out unto the tenuous branch of full-time self-employment, which was hard! We had health problems in my family that had us all worried and prayerful. And we had other things going on behind the scenes. I would open up my blog, and not be able to write about all the hard things, and not really want to write about all the sunny/breezy/happy things, and so I would close my laptop and listen to a podcast instead. In the fall of 2018 I was searching for another part-time job. I LOVE my virtual assistant work, and I wanted to add on a few more hours in an additional job. 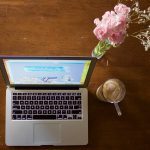 I finally interviewed for VIPKid (teaching English to Chinese kids online), and after getting through the arduous interview process, I started teaching. I went from teaching one hour a day, to three hours a day to adding evenings. It felt so good to be able to make money, and I loved meeting these kids. I started this job as a way to bring in dough when we were tight, but I quickly fell in love with it. Since I sang, played with puppets, and read stories to and with these kids it was a perfect job for my Theatre major heart. November and December were all about VIPkid, and struggles with Gideon’s sleep. While I was getting up at 4:30 a.m. to sneak in three hours of teaching before I assumed he’d wake up, he was waking up within a half hour after I started teaching, and crying for me. Saia spent his early mornings shut in our tiny bedroom trying to calm the fussy toddler who was crying out for me (I was on the other side of the wall, sweating bullets, because I was hoping my students couldn’t hear my toddler and feeling guilty for not being there for him). I LOVED teaching for VIPkid, and I kept hoping that eventually Gideon would get used to me being gone in the mornings, and sleep normally. We were all extremely sleep-deprived. Eventually, I cut way back on my hours to attempt to find peace in my home life again. 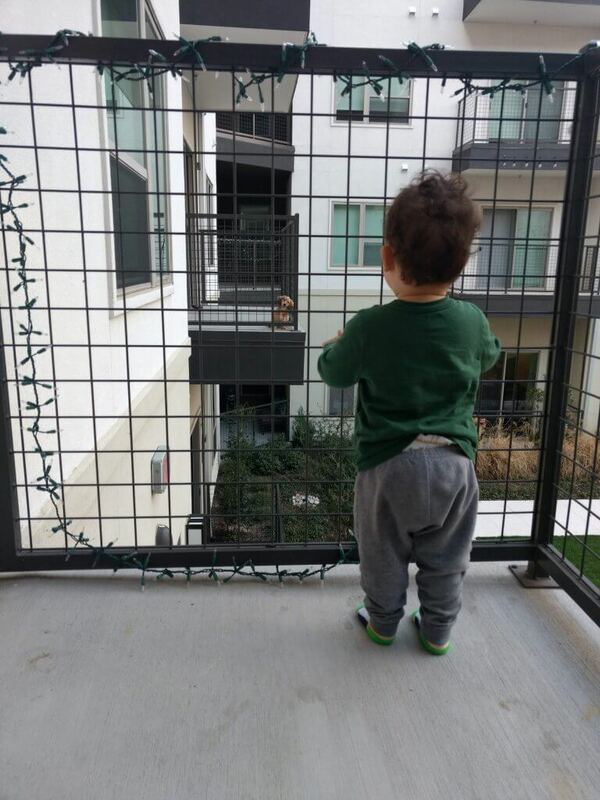 Gideon LOVED the patio at his Uncle John’s apartment. He spent a lot of time “woofing” at the neighbor dogs, cheering for people down in the courtyard area, and saying “hi!” to anyone who walked by. Then Saia got a job in Texas. We had been worried about what he’d do to earn an income over the long Nebraska winter when masonry was not a viable option. When his brother John got recruited to play for the San Diego Fleet, and asked Saia if he would consider running his roofing business down in Dallas, TX for three months we decided that would be a great option. Saia would drive down before Christmas, so the plan was that Gideon and I would stay in Nebraska for ten days to celebrate Christmas with my family, and then would fly to Dallas in early January. So I stopped teaching for VIPkid, and decided I would resume once I got down to Texas, since I was to nervous to teach when Saia wasn’t here. Christmas was tough. We’d just found out I was pregnant. We’d already made our plans for Saia to head to Texas first, and G and I to fly down later. As soon as Saia left, I went from feeling normal to the most intense pregnancy-fatigue I’ve ever experienced. I was suddenly very grateful that I had shut down VIPkid for a few weeks while Saia was away, because I knew it would have been so overwhelming to keep that up what with my need to sleep twelve hours a night plus a nap in the afternoon. At our Christmas celebrations, I searched for the nearest chair to sit in, because I was just sooooo tired. It wasn’t that much of a surprise to find out I was pregnant, we had been open to having another baby since Gideon turned one, but you just never know when it will happen! 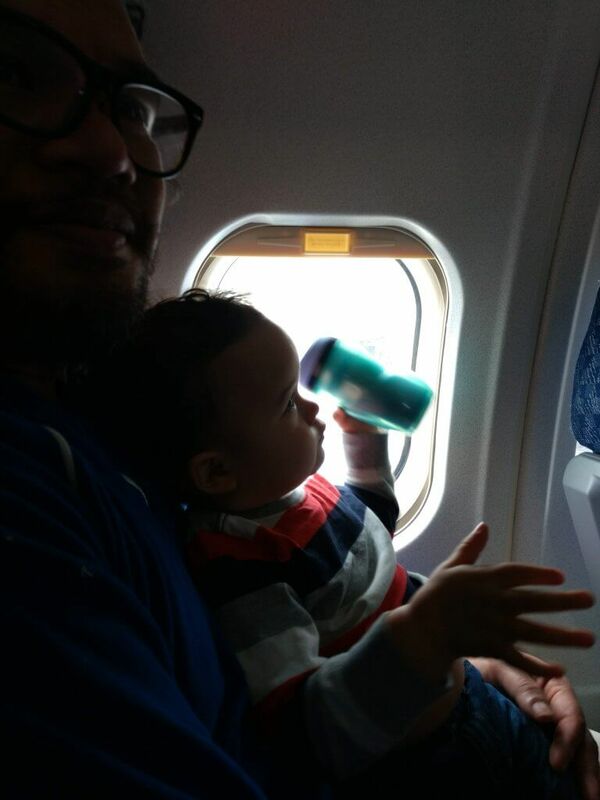 We somehow made it through the Christmas holidays, and Gideon’s first ever flight (which scared me, but ended up going great). And made it to Texas. For the entire month of January I was utterly exhausted. I slept 10-12 hours every night, and napped 1-2 hours every day. Basically any time that Gideon was sleeping, I was right there next to him. The rest of the day I tried to think of food that I could stomach, and I lay on the couch trying to entertain Gideon. It was a sad month, full of sad food, and sad thoughts. I would spend all day opening up the Walmart Grocery App, and searching through all the food to find one item that looked remotely appealing. I felt pretty depressed because I was just so tired, and hungry. 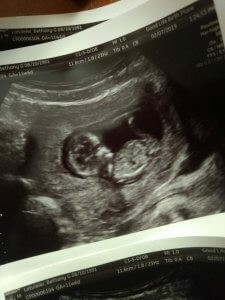 In the middle of that first trimester, it is hard to believe that you will ever feel good again! 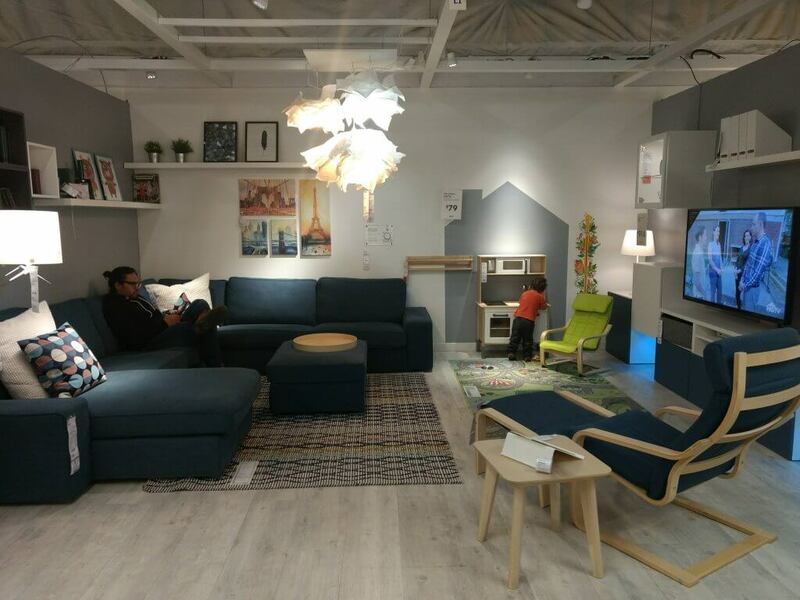 Saia and Gideon in the Ikea in Dallas. So much fun! 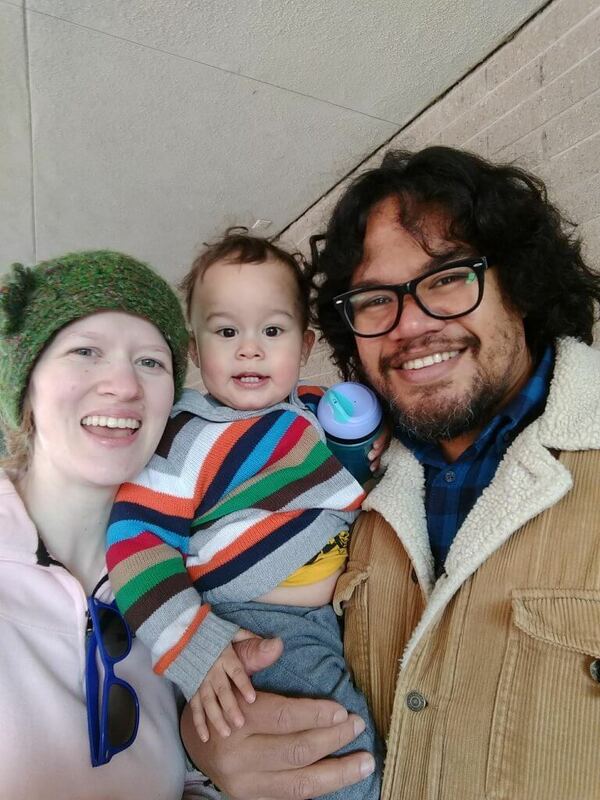 In February, we drove back to Nebraska because I needed to come back for a midwife appointment, and G and I stayed in Nebraska for three weeks while Saia went back to Texas to work. I wanted to be there for my parents’ homeschool melodrama production, and I was missing home. Luckily, my energy came back right at about twelve weeks pregnant (miracles do happen) which directly corresponded with Saia heading back to Texas. Gideon and I spent several weeks dejunking our apartment, baking food that (glory be!) sounded good to me, and hanging out with my family. Gideon did so well on both the flights. So proud of him! So, you see, the past six months have been a bit nuts-o. I have gotten hired to a new job, taught over a hundred classes in two months, got pregnant, survived the first trimester, flew alone with a toddler to Texas, driven back to Nebraska, been a single-parent for three weeks in Nebraska, driven back with Saia to Texas, spent three weeks there, completed some big virtual assistant projects, flew back to Nebraska, searched for a two-bedroom apartment, applied for that apartment, and have started the search for a minivan. One thing I learned from my six month break, is how much I really do value this little writing space of me. There is nothing like blogging. I just don’t get the same satisfaction from a well-crafted Facebook or Instagram post. So I will be showing up here more often, and I will be sharing about my pregnancy, our self-employment, and our busy little life. Tell me, friend, what have you been up to? I’ve missed you! Hi Bethany! Thanks for the update! I have been so curious why you guys were in Texas, but I didn’t want to sound too nosy 🙂 I, as always, love reading your blog. I am getting so excited for summer! Also going to the zoo. I think Nora is going to LOVE it. We went all the time when she was a baby and didn’t get much of a reaction. She loves looking at animals now so I’m excited. Glad you have your energy back! Oh, I bet she will LOVE the zoo this summer!! Gideon is now almost twenty months, and it was SO much fun watching him interact with people and–of course–the animals. He loves making animal noises, so it was pretty neat to see him make all those connections. Such a pleasure to read Stroller Mom! Ed & I parked our RV in middle Tennessee Feb 1st to do some eldercare for Dr Eckhart’s parents. His parents are precious and it is no work at all. We do plan on being back in York for graduation/YC board meeting. Love to you all! I hope we can see you when you are in town! That is so wonderful that you are getting to spend time with Dr. Eckhart’s parents. What a blessing. Good for you for taking a break when it was needed. 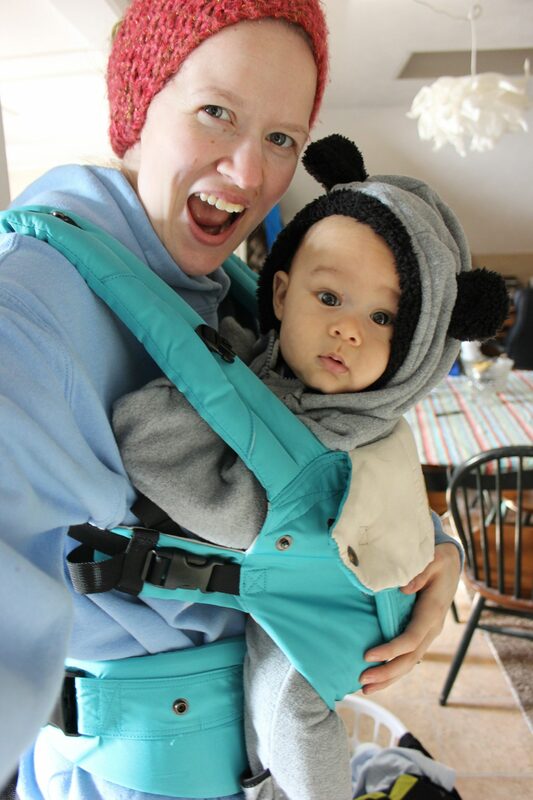 I’ve had a lot of health issues post-pregnancy and it has been hard to juggle hats. It has meant that I haven’t done that much. I hope that things keep running smoothly with your pregnancy, the health issues don’t come back, and you have so more you time! Hey Autumn! I’ve been catching up on your blog, lately, and I love seeing pictures of your sweet little baby girl!! 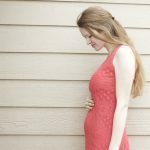 It’s so fun to see my blogging friends become mamas too. <3 Here's hoping that we both get to spend a bit more time blogging, and a bit less time dealing with other yucky stuff. Thanks for the comment, friend!